The European Medicines Agency is investigating "deficiencies" in the way drug maker Roche reported possible side-effects in patients in the U.S., though it said there was no evidence patients are at risk. European authorities spotted the problems during a routine inspection of Roche by British regulators in May. They noticed about 80,000 reports of possible side-effects for medicines sold in the U.S. had not been analyzed to see if they were truly suspected adverse effects that needed to be reported. The reports were collected in a patient program that helps people deal with health insurance issues in the U.S., like reimbursement for medicines. Dozens of drugs were involved, including many cancer drugs. In the reports of possible side-effects, there were more than 15,000 deaths. The European Medicines Agency said it was unclear whether those deaths were linked to any Roche medicines. "The scale of it sounds big, but what is not known is how many of these deaths have already been reported in another way," said Monika Bernstetter, an EMA spokeswoman. "We need to get to the bottom of this." Drug agencies regularly track side-effects of drugs on the market since rare adverse events might not have been picked up during clinical trials when only limited numbers of people are exposed to the medicines. Roche AG acknowledged it did not fully comply with regulations on the reporting system and that it was working "to address this matter expeditiously." 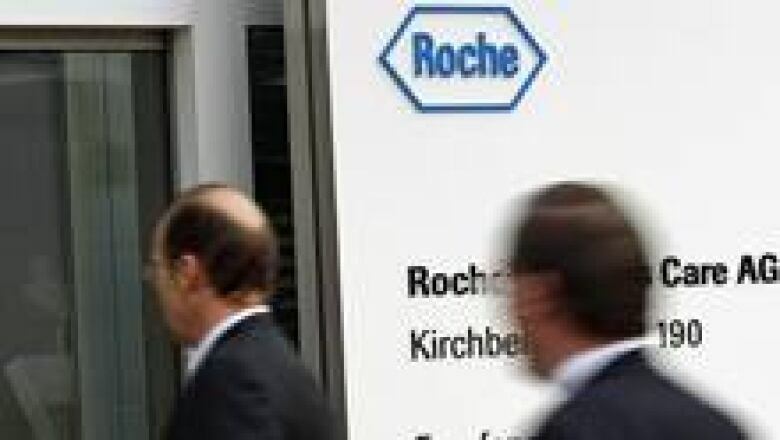 Possible side-effects picked up by the patient support program were not sent to Roche's own database for evaluation and therefore never made it to health officials, according to spokesman Daniel Grotzky. He said both minor and serious side-effects were reported but could not provide further details. "This was not intentional but of course it's not something that should have happened," Grotzky said. "We're looking into all of these cases and we will work with health authorities to update them." He said preliminary numbers had been given to health authorities about the potential number of missed adverse events and that measures would be taken to update their database. Grotzky said they hoped to have final numbers by January. The EMA has given Roche until Wednesday to submit a detailed plan on how they will evaluate and report all outstanding cases, including how such problems will be corrected in the future. "Based on the information we have, there is no need for patients to change their treatment," Bernstetter said. "But we need more evidence that these deficiencies are being addressed."